While science is yet to find evidence to support the wondrous study of astrology and finally confirm or dismiss the belief that the position of the stars and the planets have an influence over our lives, astrology has been a part of human being's society for centuries. If you're feeling skeptical about it, just think about it: how come nobody throughout the time has ever provided a solid fact to dismiss astrology? It's simple – because there must be a mysterious factor we know nothing about. Astrology has been used as guidance towards success in many different areas of life, such as relationships, career and health. The zodiac sign can tell a lot about a person and it can also tell if two people are compatible with each other based on their zodiac signs. Marriage is a big step forward in a relationship and if you're about to take it, you should first check what does astrology say about it and if your decision is the correct one. 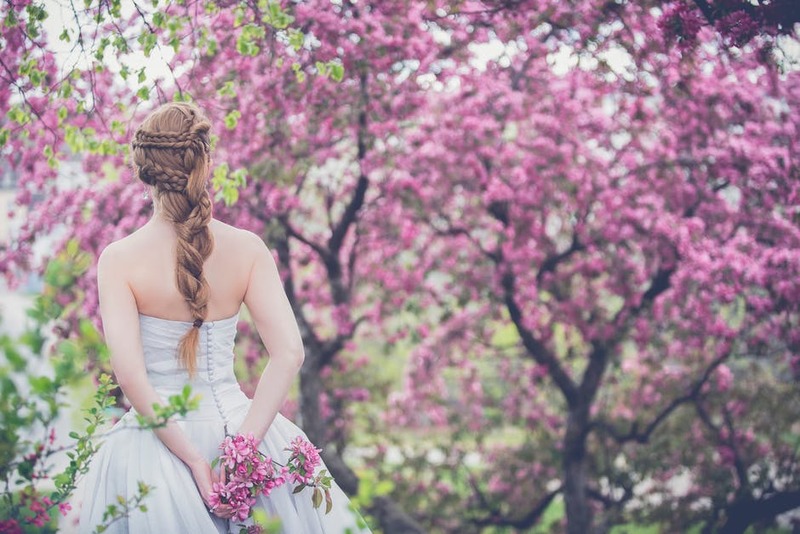 If you're marrying a woman born under one of these 3 zodiac signs, you're in for a real treat. If not, you better re-evaluate your decision while your finger is still ring-less. With no further ado, these are the 3 best women to marry for a regret-free life. A brutally honest woman who converts every single thought into words, a courageous woman who never settles for a “no”, a charming woman who knows how to keep the man she chooses satisfied. Leo woman is the number one woman a man marry and never regret. She is highly energetic, charming in every way, broad-minded and independent, characteristics that draw men like flies. However, this strong and independent woman needs a strong man in her life, as she tend to be quite demanding and wants to count on a man who will have her number one on his priorities list at any time. Due to their charismatic nature, Leo women don't have to make a slight effort to attract men. Nevertheless, they do make a lot of efforts to find the one man to be put under her spell. She needs a lot of attention and love, but in return, the loyal and committed Leo woman will make your life easier. Additionally, due to their passionate personality and creativity, she will turn your life into a true adventure. She wants nothing less for her man than the best and she will fight with you and for you. On top of that all, Leo women make wonderful mothers. Cancer woman is someone who gives unconditional love to the partner they choose and cherishes the happiness of her man more than her own. Known as one of the most sensitive signs of the zodiac, she is not afraid of experiencing all of these feelings intensely. Aside from being a fun and loyal friend, a Cancer woman is definitely a woman you will never regret marrying. She is attentive, caring, romantic and passionate woman who has a natural tendency to be a homebody, so she can create a warm home with lots of love and positive vibes. Since Cancer women are highly emotional, they tend to dramatize in a variety of different situations. Be that as if may, the positive qualities Cancer women posses overweight this small flaw. Marrying a Cancer woman means marrying a partner who will always put family first. An affectionate wife and devoted mother who looks for an honest and loving husband and responsible father. Cancer women love simplicity, except when it comes to food. They love to feed their men with delicious meals on a regular basis. The determined and ambitious Aries woman is always busy getting closer to achieving every single goal they've set for themselves. When it comes to love, Aries women can only invest their time, attention and love in someone who also looks for serious commitment. Courageous, stubborn, both strong and headstrong and with a goal-driven personality, an Aries woman seeks a partner who is equally ambitious, possesses a strong personality and will always give her all the support she needs. If you think you qualify, you shouldn't think twice to propose to her. Besides being successful in their career, Aries women are also known to have an interesting, yet practical lifestyle. They are realistic and hardworking women who never hesitate to go for the things they like. However, they expect their men to be as much hardworking and ambitious as them, which is often perceived as asking too much from their partners. If you find each other a perfect fit, you will both grow stronger, more responsible and more successful. As a mother, an Aries woman is strict and perfectionist who wishes all the good things for their children. This is an attitude that can raise leaders and achievers – just as the mother herself.